Abstract Ballet: A ballet without a plot or story. Adage, Adagio: [Italian ad agio: "at ease"; the musical direction, adagio, means "slow."]. Slow movement with emphasis on sustained positions and on balance. The principal steps of adagio are pliè, dèveloppè, rand fouettè en tourant, degage, grand rond de jambe, rond de jamb en l’air, coupes, battement tendu, attitude, arabesque, pirouettes and more. Most classical pas de deux start with adagio and end with allegro movement. Ailes de pigeon:[Means “pigeon’s wings”]. The dancer performs a cabriole devant, then the legs change and beat again, then change again before the dancer lands on the leg he jumped on, leaving the other leg extended in the air. Also known as “pistolet”. Air, en l’: In the air. Indicates that the movement is to be made in the air versus on the ground such as rond de jamb en l’air. Alignment: The single most important thing in the foundation of technique. The body must be aligned to perform ballet correctly and safely. Allegro: [Italian: "happy"; in music, "fast"]. Brisk and lively movement including all steps of elevation such as entrechat, cabrile, assemble, jetè - basically jumps and turns. The majority of ballet dancing is allegro - with the most important qualities being lightness, smoothness and ballon. Usually divided into petit ["little"] allegro and grand ["big"] allegro. Allongé: ["elongated"]. Extended – outstretched. Arabesque: ["Arabic"]. A position with one leg stretched straight out to the back while turned out and keeping the upper body straight and lifted. One arm usually is stretched out to the front in fourth, fifth or an open position. 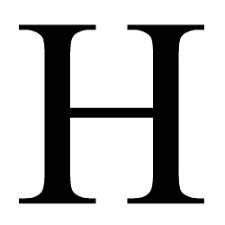 Arrière, en: [“backward”]. A direction for the execution of a step. This word is used to indicate that the step is executed moving away from the audience. Assemble: ["assembled or joined together"]. A step in which the working foot slides well along the ground before being swept into the air. As the foot goes into the air the dancer pushes off the ground with the supporting leg extending the toes – then both legs come together to the ground simultaneously into fifth position. Attitude: ["attitude"]. A position as with the arabesque, where the working leg is raised. But unlike the arabesque, it is bent, not straight, and, also unlike the arabesque, it can be done to the front, the side, or the back. The bent knee is lifted at an angle of ninety degrees and well turned out so that the knee is higher than the foot. Avant, en: [“forward”]. A direction for the execution of a step used to indicate that the given step is executed forward toward the audience. Balancé: ["rocking"]. A waltz step shifting the weight from one foot to the other. 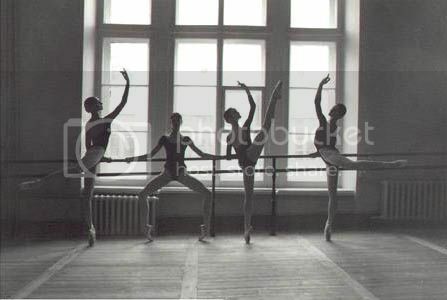 For a balancé to the right, start in fifth position. On count of 1-2-3, right foot goes out to the side and the weight is transferred to it (1). Immediately bring left foot behind right and and transfer the weight to the ball of the left foot while rising up on it (2). Put your weight back on the right foot flat on the floor (not raised up) (3). A balancé to one side is almost always followed by a balancé to the other side. Balancés can also be done to the front and back or turning. Balançoire: [“like a seesaw”]. This term is applied to the grand battement when executed with a continuous swinging motion through the first position to the fourth position front and back. The dancer swings the working leg vigorously back and forth; balançoires do not require that the body be held straight. Ballerina: [Female dancer]. A principle female dancer in the company; an outstanding soloist given title roles. Ballerina assoluta, prima: [“first ballerina absolute”]. This is the main dancing ballerina who is given all classical title roles over any soloist. A name in the company that draws an audience. Ballon: ["balloon"]. The appearance of weightlessness and of being airborne. A dancer is said to have ballon if (s)he seems to be in the air constantly with only momentary contact with the floor. Ballonné: ["ball-like"]. The dancer springs into the air, simultaneously executing a battement, then lands in demi-pliè with the working foot sur le cou-de-pied.. Can be done in many different directions. Ballotté: ["tossed"]. A jump. Begin in 5th, right leg front. Spring straight upward with both legs held tightly together, as the body begins to tilt slightly backward at the apex of the jump. The body lands on the left foot while the right is thrown open to the front. Repeat backwards, with a slight tilt to the front at the apex of the jump. The French School terms this step “jetè bateau”. Barre: ["bar"]. 1. The railing, about waist high, along the wall of a studio. Used by dancers as for steadying themselves in the first part of a class. 2. The first part of ballet class, consisting of exercises done with the aid of the barre. Bas, en: [“low”]. Used to indicate a low position of the arms. Battement: ["beating"]. A generic term for various movements in which the leg is extended and then returned. See grand battement and petit battement. This is also one of those words (like pas and temps) that are frequently omitted and understood; thus, for example, frappé is short for battement frappé, etc. In this list, look under the second word (e.g.,, under frappé, not under battement frappé. The only exception to this is battement tendu. Batteriè:[“beaten steps]. A collective term meaning the entire vocabulary of beats. Any movement in which the legs beat together or one leg beats against the other. Battu: [“beaten”]. Any step embellished with a beat. Brisè: [“broken, breaking”]. A small beating step in which the movement is broken. It starts on one or two feet and ends on one or two feet. Fundamentally, a brisè is an assemble beaten and traveled. The working leg brushes from the fifth position to the second so that the point of the foot is a few inches off the ground and beats in front of or behind the other leg which has come to meet it; then both feet return to the ground at the same time in demi-pliè fifth position. Cabriole: [“caper”]. A step of elevation in which the extended legs are beaten in the air. The working leg is thrust into the air and the underneath leg follows and beats against the first leg sending it higher. The landing is made on the underneath leg. Cambré: ["bent"]. A bend from the waist in any direction, but especially forward or back. Chaînés: [“chains, links”]. A series of rapid turns on half or full point with the legs in a tight first position, rotating a half turn on one foot and the other half on the other foot. Done one after the other so they're "chained" together. Changement: ["change of the feet"]. A jump, straight up, starting from fifth position with one foot in front and landing in fifth position with the other foot in front. Changer, sans: [“without change”]. Indicates that a step is done with the feet remaining in the same relative position. Chassé: ["chased"]. A gliding step. The working leg slides out; put weight on working leg and draw other leg along floor to it. One foot literally chases the other in a graceful sideways gallop like step. Ciseaux: ["scissors"]. Opening the legs, like the blades of a pair of scissors, to a wide second position sur les pointes; or may be jumped en l’air. Not to be confused with sissonne. Cloche, en: [“like a bell”]. Refers to grand battements executed continuously devant and derrière through the first position. Collè: [“Adhering, glued”]. Both legs are kept tightly together in mid-air in a temps sauté. Contretemps: [“counter beating”]. A compound step consisting of coupè dessous, chasse efface en avant, fermè, temps levè and chasse passé croisè en avant. It is a very useful step for traveling to the side. Combination: [“combination”]. A series of steps linked together, usually as an exercise in class. Corps de ballet: [“body of the ballet”]. Dancers who do not appear as soloists. Cou-de-pied, sur le: ["on the neck of the foot"]. A foot is sur le cou-de-pied if it is placed on the the calf just above the ankle. In the Russian school, the foot is actually wrapped around the ankle, with the heel forward and the toes back. It may be placed on the front of the calf in this position, at the side, or in back. The back position is sometimes called, incorrectly, coupé. Coupé: ["cut"]. A small intermediary step done as a preparation for some other step. Couru: [“running”]. A graceful ballet running step. Croisé: ["crossed"]. A position on stage in which the dancer faces one of the front corners with the legs crossed. In croisé devant, the downstage leg is in fourth position to the front; in croisé derrière, the upstage leg is in fourth position to the back. Croix, en: ["in (the form of) a cross"]. Usually applied to exercises at the barre: the exercise is done first with the working leg moving to the front, then to the side, then to the back, and then to the (same) side again. Dèboitè: [disjointed”]. A term applied to a emboitè sur les pointes executed on arrière. They travel backward, the front swishing out and closing at the back. Dèboulès: [“rolling like a ball”]. A series of demi-tours executed alternately on each foot moving forward in a single direction. Dedans, en: ["inward"]. Used to describe motion toward the front of the body. In a pirouette en dedans, the dancer turns so the raised leg rotates toward the front. In a rond de jambe en dedans, the working leg moves in a half-circle from the back toward the front. Dégagé: ["disengaged"]. A movement or position in which the working leg is lifted off the floor. It is the pointing of the foot in an open position with a fully arched instep. There is no transfer of weight. Dehors, en: ["outward"]. Used to describe motion away from the front of the body. In a pirouette en dehors, the dancer turns so the raised leg rotates away from the front. In a rond de jambe en dehors, the working leg moves in a half-circle away from the front toward the back. Demi-pliè: [“half bend of the knees”]. All steps of elevation begin and end with a demi-pliè. Derrière: ["behind"]. Directed behind the body. The reference of derrière implies that the working foot is closed at the back. Dessous: ["under"]. Indicates that the working foot passes behind the supporting foot. Dessus: ["over"]. Indicates that the working foot passes in front the supporting foot. Devant: ["ahead"]. Directed in front of the body. Developpé: ["developed"]. A movement in which the working leg is drawn up to the knee of the supporting leg and from there smoothly out to a position in the air, usually at 90 degrees (i.e., parallel to the floor). Diagonale, en: [‘in a diagonal’]. Indicates that a step is done in a diagonal direction. ècarté: ["separated"]. A position on stage in which the dancer faces one of the front corners with the working leg in second position, either on or off the floor. The body is tilted slightly away from the working leg. The arm on the side of the working leg is raised; the arm on the side of the supporting leg is in second. If the working leg and raised arm are downstage (toward the audience), this is écarté devant; if they are upstage, this is écarté derrière. échappé: ["escaped"]. A movement in which the legs move from fifth position out to second position or, occasionally, to fourth position. efface: ["effaced"]. A position on stage in which the dancer faces one of the downstage corners with the legs crossed, upstage leg forward. The downstage arm is usually raised in this position, so that the face is shaded, or effaced; hence the name. élancer: ["to dart"]. One of the seven movements in dance (see movements. eleve: [“elevated”]. Rising to pointe or demi-pointe without plie. emboité: ["boxed"]. A jump. Start in 5th; assume the right leg is in front. Jump up, bend the right leg to 45 degrees. Land on the right foot with the left leg slightly bent and the left foot in front of the right ankle. The feet fit closely together, like a lid on a box; hence the name. Usually repeated to the other side: jump off right foot onto the left and land with right foot in front of the left ankle. This movement is often done while turning and travelling. en face: ["facing"]. A position on stage facing directly forward, toward the audience. en l'air: ["in the air"]. Used to describe movements in which the working leg is raised a considerable distance off the ground. Antonym: terre-à-terre. enchaînement: ["chaining"]. A series of steps linked (chained) together. enveloppe: ["Enveloped"]. A rotation of the body turning en dedans on the supporting leg while the other leg envelopes or circles it. It is used as a preparation for the execution of the pirouette and steps like jete or chasse en tourant. épaulement: ["shouldering"]. Rotation of the shoulders and head (relative to the hips) to add beauty or expressiveness to a pose, step, or movement. étendre: ["to stretch"]. One of the seven movements in dance (see movements. extension: [“extendend”]. The ability to raise the working leg high in the air. Good extension comes from a combination of inborn flexibility and training. face, de: [“in front, full face”]. A position or step executed facing the audience. failli: ["giving way"]. A fleeting movement done on one count. 5th position, croisè. Demi-plié, jump up vertically, feet together. Turn the body efface in the air. The body is lowered into demi-plié on the right foot, while the left leg, fully extended, is opened to 45 degrees in effacé back. Without hesitation, the left foot glides through first position and ends in croisé in demi-plié. ferme: [“closed”]. Indicated that both feet are in a closed position whether at the beginning or end of a step. finger turns: These are turns where the girl partner is supported by the boy with his arms in such a way that she cups his fingers above her while stopping her turns with his other supporting arm. She can do any static turns like a series of pirouettes or fouettè turns. fish dive: This is a lift position between a male and female partner. This lift can be done above the head (for the male) or as a lower horizontal lift. fondu: ["sinking down"]. Any movement that lowers the body by bending one leg. In a plié, both legs support the body; in a fondu, only one leg supports the body. fouetté ["whipped"]. A turn in which a whipping motion of the working leg makes the body go round. Usually but not always done en dehors, which is the description that follows. The working leg opens to 2nd position at 45 degrees. The working leg whips in behind the calf of the supporting leg, while the arms come in, the body turns en dehors, and the supporting leg rises to releve. Quickly, the working foot is brought to the front of the calf and is opened to 2nd at 45 degrees while the working foot is lowered into demi-plié. While in this position, the arms open to second in preparation for a repeat of the movement. When you hear of "32 fouettés" in Swan Lake or some other ballet, this is what they mean. frappè: ["struck"], in full, battement frappé, "struck beat". Working foot rests lightly on the ankle of the supporting foot. Throw the working leg forcefully out to a dégagé position so that it strikes the floor 1/3 of the way out. Hold the leg out as long as possible, returning it to its initial position at the last moment. (Russian frappés start in tendu, darting to the supporting leg and back out again.) Can be done to the front, side, or back. glissade: ["glide"]. A connecting step. Start in plié; move the working foot out to pointe tendu; then move onto that leg, closing the left foot and landing in plié. This stap is a gliding jump from one foot to the other that can be done in any direction. grand battement: ["big beat"]. A controlled leg lift in which the working leg is raised as high as possible while keeping the rest of the body aligned. grand battement en cloche: ["grand battement like a bell"]. A controlled leg lift in which the leg swings continually between fourth position front attitude and fourth position in back attitude, while the body is held aligned and in good posture. grand jeté: ["big thrown (step)"]. A long horizontal jump, usually forward, starting from one leg and landing on the other. In the middle of the jump, the dancer may be doing a split in midair. This is a grand jump that you will see in most grand finales (see photo). haut, en: ["high"]. This term is used to indicate a high position of the arms such as 5th position which is above the head. Incliné: ["inclined"]. This is to indicate an addition inclination of a step that requires extension; for example, “arabesquè incline” (which is pretty much a penchè). jeté: ["thrown"]. A jump from one foot to the other foot, throwing the working leg out. Basically this is used in petit allegro quite often. One foot brushes out and jumps off the ground as the dancer lands on her other foot in b+. jumps:. There are a variety of jumps in the ballet vocabulary. Jumps have been classified as follows: (1) from both feet to both feet (e.g. changements) (2) from both feet to one foot (e.g. sissonnes); (3) from one foot to both feet (e.g., assemblés); (4) from one foot to the same foot (e.g., temps levés); (5) from one foot to the other foot (e.g., jetés). labanotation: This is a system of dance notation invented by Rudolf von Laban. Many ballets have been notated and compiled in a library. leotard: a form fitting stretch material bodice for dancers to wear during exercise. levé, temps Time raised or raising movement tempo; a faster tempo for dancers to work to. lyrical dancing: A poetic style of dancing with a lovely, flowing quality. milieu, au: In the middle or center of the floor as in "center practice". movements: Early in ballet history some masters analyzed all ballet movements into seven basic categories. These are: (1) pliè, to bend; (2) étendre, to stretch; (s) relevè, to rise; (3) sautè, to leap; (4) élancer, to dart; (5) glissadè, to glide; and (6) tourner, to turn. minuet: A dance in 3/4 time introduced in the 16th century. notation: There is no universally accepted system of recording the choreography of ballets although many systems of dance notation have been devised. opposition: A movement (or position) of the arms in opposite direction to movement (or position) of the legs; as we move our arms when we walk. Opposing limb movement. pas: ["A step"]. Many of the common names of steps in ballet are adjectives (or participles) instead of nouns; these names have the word "pas" understood: thus, for example, "coupé" (which everybody says) is actually short for "pas coupé" ["cut step"] (which nobody says). Also used to refer to a dance, as pas de deux, a dance for two; pas de quatre, a dance for four. pas de bourrée: ["bourrée step," the bourrée being an old folk dance]. This term is one of the simplest connecting steps, used to link other steps in a combination. The most common form is probably the pas de bourrée dessous. It is a gliding movement by a dancer on pointe consisting of many very small steps taken with the feet close together. When a dancer uses bourrée as a verb ("Then you bourrée downstage"), she usually means pas de bourrée couru. This is what the “Dying Swan” does a lot of in Swan Lake, it is intended for pointe. pas de chat: ["step of the cat"]. A basic jump that starts with a demi-pliè in fifth, to a leap off of one leg and both legs bend in the air – one after the other to land back in fifth position demi pliè. In the famous dance in Swan Lake in which the four cygnets dance with interlaced arms, they do sixteen pas de chat. It’s a common connection step in basic ballet. pas de cheval: ["step of the horse"]. Starting with the working leg in pointe tendu, draw it along the floor back to the supporting leg; then, without pausing, move it up to cou-de-pied and back out to pointe tendu in a small developpé. The step resembles the pawing of a horse. It is quick and smooth. passé: ["passed"]. A movement in which the pointed foot of the working leg is made to pass the knee of the supporting leg. Basically you start with your working foot in front and end with it behind – or vice versa. It is a very common ballet move at the barre and used to change which foot will be the working foot. penché: ["leaning"]. An extreme arabesque in which the body stays lifted and extended, but the back leg goes up and out as far as possible bringing the arms to almost touch the ground (if the ballerina has that sort of extension and flexibilty). petit battement: ["little beat"]. This is an exercise for speed and agility in the lower legs. The working leg starts sur le cou-de-pied and beats front to back repeatedly to the music then ends on the opposite side of the leg from where it started. The knee and thigh of the working leg stay in the same place and do not move during the exercise. petit jeté: ["little jump"]. A small jump used in petit allegro often. Brush the working foot out, hop off the supporting leg, and land on the working foot with the other foot sur le cou-de-pied behind. Can be done to the front, the side, or the back. pirouette: ["spin"]. A controlled 180 degree turn on one leg. The dancer usually turns more than once. The raised leg is most commonly held in rétiré, but pirouettes with the leg in other positions are not uncommon. If the direction of the turn rotates the raised leg away from the front of the body, the pirouette is en dehors; if it rotates the leg toward the front, it is en dedans. The dancer spots (see "spotting") in order to avoid becoming disoriented. Pirouettes are usually fast, but supported pirouettes, in which a partner steadies the soloist, may be done very slowly. placement: Roughly, alignment of the body. Becoming properly placed means learning to stand up straight, with hips level and even, shoulders open but relaxed and centered over the hips, pelvis straight (neither protruding nor tucked under), back straight, head up, weight centered evenly between the feet. This posture is frequently described as "pulled up," but it is also a relaxed posture; you aren't tensed up like a soldier standing at attention. (A teacher once said you should imagine that you are suspended by a thread attached to the top of your head. This suggests both the "pulled-up" and relaxed aspects of good ballet posture.) And as you dance, you seek to maintain this posture except when the step requires something different, like épaulement, or like the slight forward arch of the spine that accompanies an arabesque. plié: ["bent"]. Knee bends, done with the legs turned out from the hips. It is usually the first exercise in a ballet class. Demi-plié ["half-bent"] is a shallow bend (in all positions but second, as far down as you can go without lifting the heels off the floor); grand plié ["big plié"] is a deep bend, down to where the thighs are almost horizontal. In all positions except second, the heels release from the floor in a grand plié. A pliè is the prelude and finish of every jump. It is one of the most important moves in the ballet vocabulary and if it is not executed properly it can cause injury to the knees, ankles and hips. pointe: ["point"]. The point or extension of the foot from the body out through the toes. A demi-pointe refers to how far the heel is raised off the floor in a relevé. Sur les pointes, or "on pointe," is on the tips of the toes literally in pointe shoes. Children should not be allowed to go on pointe until the bones of their feet are fully developed. This typically is allowed at about the age of 11 or 12 when the bones are ossified. pointe tendu: ["stretched point (of the foot)"]. A position in which the working leg is stretched straight out in any direction with only the tip of the foot touching the floor. port de bras: ["carriage of the arms"]. A movement or position of the arms. Every ballet class has a port de bras section of barre. It is the upper body carriage while executing lower body steps. It makes steps look effortless and graceful when done correctly. A grand port de bras is a circular bend, either toward the barre, then down, then up away from the barre, and then backward and back toward the barre: or the same thing in the opposite direction. promenade: ["walk"]. A balanced pivot turn in which the dancer moves slowly around by shifting the heel of the supporting leg. The rest of the body may be in arabesque or attitude. In a supported promenade, the partner turns the soloist. quatrième, à la: ["in the fourth"]. À la quatrième devant is with the working leg stretched out to the front; à la quatrième derrière is with the working leg stretched to the back. relevé: ["raised"]. A movement in which the heels are raised off the floor. The rise may be smooth or aided by a slight spring, depending on the school. A dancer in such a position is said to be "in relevé” or “on pointe”. retiré: ["withdrawn"]. A position in which the working foot is drawn up to the knee of the supporting leg usually while the other leg is in releve. rond de jambe: ["circular movement of the leg"]. 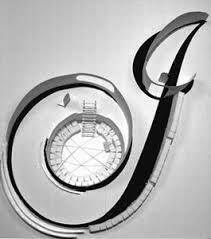 A movement in which the working leg comes up to retire and circles in a circular motion. May be done with the working foot on the floor or in the air. In a rond de jambe en dehors the leg moves outward and ends by passing back down the leg into fifth. A wonderful exercise for turnout. In a rond de jambe en dedans ("inward"), the direction of movement is reversed. In a demi rond de jambe, the working leg goes only half-way around, stopping in second position. A grand rond de jambe, is executed with the supporting leg in plié. A rond de jambe en l'air ("in the air") is done with the working leg raised off the floor, frequently at an angle of 90 degrees (parallel to the floor). seconde, à la: ["in second"]. A position that means out to the side. sissonne: [Named for its inventor]. A basic sisonne is a jump from two feet into a scissor action jump into the air - with one leg higher then the other landing back on two feet. There are many types of sissone ranging from petit jumps to grand jumps and they can be done in any direction. soubresaut: ["sudden leap"]. A jump from both feet to both feet. Beginning in 5th croisé, the feet push off the floor so that the body pushes forward with feet pointed and legs together. Before the jump, the body inclines forward, and then during the jump bends forcefully back, so that the legs remain at the back. The movement ends in 5th croisé. The arms are free and depend only on the design of what is being sought after; when studying, they usually begin in preparatory, come up to first during the jump, and end in preparatory again. sous-sus: ["under-over"] (or sus-sous ["over-under"]). A relevé in a tight fifth position with one foot almost on top of the other. soutenu: ["sustained"]. Performed smoothly and slowly as a crossed leg turn up onto pointe. It starts from 5th position where the working leg is taken out to the front, 2nd position, or to the back, while the supporting leg is lowers to demi-plié, then the supporting leg rises to demi or full pointe while the working leg is drawn into it, ending in a tight sus-sous position. spotting: A technique used to avoid disorientation during turns. Basically the dancer spots an object or area of the room or stage and as she turns she catches glimpse of that same area and focuses. This is the only way to do many turns without feeling dizzy. sur le cou-de-pied: A foot is sur le cou-de-pied if it is placed on the the calf just above the ankle. temps: This means time, or tempo pertaining to music which dictates the movement level of the ballet class or live ballet performance. temps levé: ["raised movement"]. Temps levé is the very simplest jump from one foot onto the same foot with the other foot raised. temps lié: ["joined movement"]. This is a term for a whole series of conventionally connected movements executed in the center of the room, often during an adagio. However, it is also the term for an independent form of a step. tendu: ["stretched"]. This is a very basic barre movement that is used commonly in ballet movement. The tendu (same as battement tendu) is when a dancer pointes out extending out starting from her torso throughout her toes. terre-à-terre: ["ground to ground"]. Used to describe steps in which the dancer's feet do not leave the floor. travesti, en: ["in disguise"]. Of a female dancer: dancing a male role in a man's costume; of a male dancer: dancing a female role in a woman's costume. turnout: The foundation of ballet. A stance in which the legs are rotated outward from the hips so that the knees (and feet) point in opposite directions. A dancer adopting this position is said to be "turned out." The ideal, turnout is 90 degrees. Forcing the feet and letting everything else follow puts severe strain on the joints, especially the knees, and defeats the purpose of turnout, which is to rotate the thigh bone to permit greater extension, especially to the side. Doing this incorrectly can cause great injury to the dancer. Vaganova Method Agrippina Vaganova developed this methos from the Russian technique. virtuoso: A performer with great ability. Voléé, de: ["in flight"]. Indicates that a specific step is to be done with a flying or soaring movement. waltz: A ballroom dance step in 3/4 time. warm-up: This is the term used to get the body ready for class or stage. it's is a "pre-dance" movement session to avoid injury. working leg: the leg that is executing the gievn movement while the weight of the body is on the other leg.